We are now three weeks into the school year and things are starting to settle into a rhythm on campus. Service and sports actives are underway, and the first Outdoor Pursuits trip left this morning. We have almost finished the construction work as well. I would like to say a large thank you to the PTA for the Welcome Picnic yesterday. Talking with new teachers, they have been made to quickly feel part of the ISM Community. The PTA have already started planning other events that will take place over the coming year. I would like to thank them in advance for all that they do to support our community. While it is two weeks away, I invite all parents to the Parents Coffee Morning on September 11th at 7:45am in the Social Center. Calling all students, parents, community members and alumni. The 24 hour run is just around the corner. If you have signed up and are collecting pledges that is great. If not stop by and find out more. These funds go to support the scholarship program here at ISM which in turn benefits Tanzania. In order to provide the best support for students when they get sick or injured, we need the most up to date medical information. If you have not completed a medical form in the last year, could you please complete a new one. There are two versions, one for day students and one for boarding students that are available at: https://www.ismoshi.org/about-us/publications/. We need these forms for students participating in sports, outdoor pursuits or other trips. 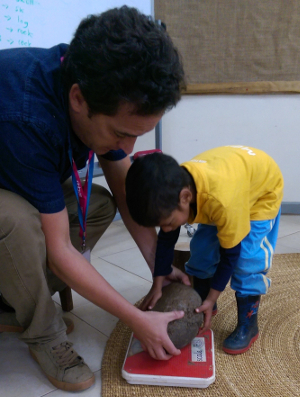 The opportunities for learning at ISM extend far beyond the classroom. The long standing and extensive Outdoor Pursuits programme offers an incremental, leveled progression of age-appropriate experiences through a demanding range of outdoor activities. These opportunities take advantage of our wonderful environment and, over time, camps are centred on Mt Kilimanjaro and Mt Meru. This weekend, amazingly, all of our M1 students venture out on their first OP trip of the year, Camp Craft. This experience will introduce the students to a range of essential skills as they begin to familiarise themselves with OP routines. The students will learn how to properly pack (and repack!) their backpacks and to set up tents, as well as participate in the preparation, cooking and clean-up of meals. They will be involved in team building activities and learn about basic first aid. 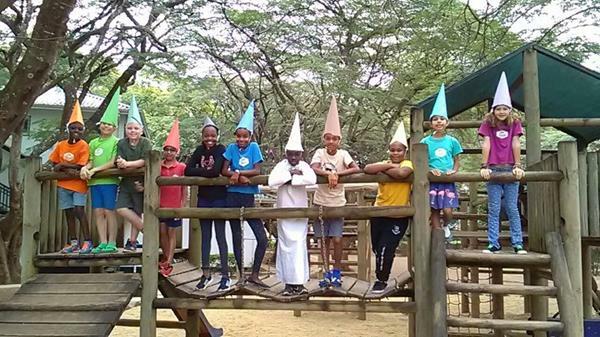 The Outdoor Pursuits programme allows students to reconnect with nature as they explore the beautiful Tanzanian environment and, together, build resilience, collaboration and leadership skills. Good luck, M1s! In the Primary School, our P6 students were wonderful hosts for our second Primary Gathering of the year. 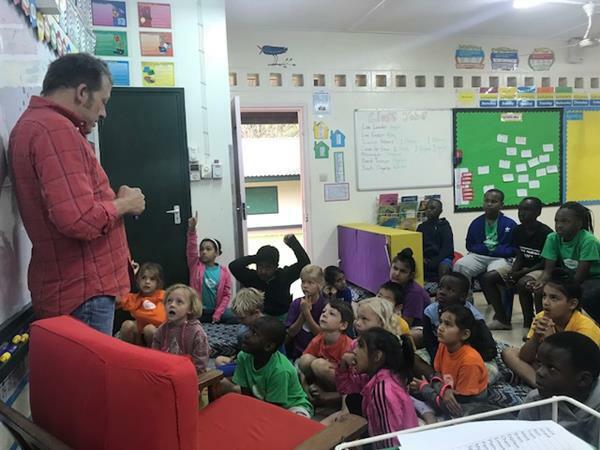 They expertly introduced us to the attributes of the Learner Profile and the PYP attitudes. Their presentation was interactive, engaging, fun and was all their own work. Well done, P6. Compliments to P4 too who were articulate and eloquent comperes. 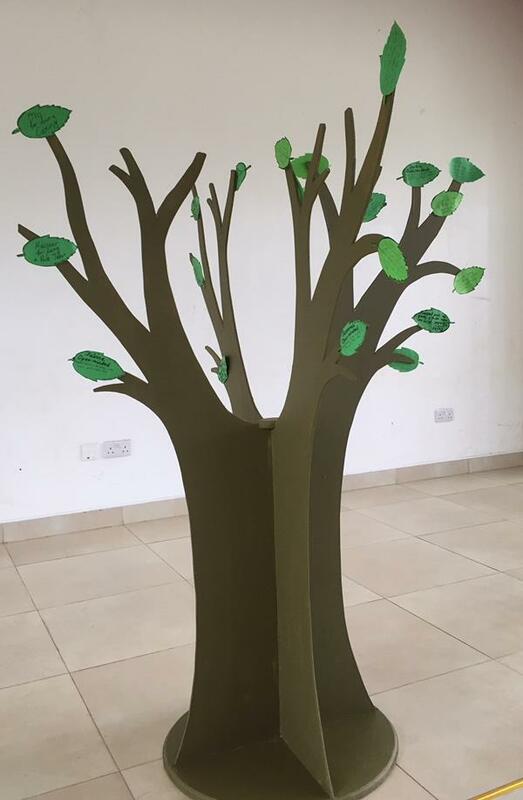 Lastly, a huge thank you to Mr Horne and Mr Kaniki for helping to create our new Primary School baobab-inspired “Tree of Action.” The new 3D design means the tree is now portable and, hopefully, can be moved around the school to make sure everyone gets to enjoy and celebrate our achievements in the Primary School. Look closely to discover how we are all bringing the Learner Profile to life through our everyday interactions and choices. Last weekend the SEP group had a fruitful trip to West Kili that included a night at the Olpopongi cultural centre, where many had their first experience sleeping in a hut and had a nyama choma dinner prepared by Shumata lodge. Asante. Saturday was spent helping the Tinga Tinga community set up the bee-hive fences and we later camped at the Enduimet WMA. An early morning rise saw the group go on Safari in the wildlife management area where they got to see lots of elephants at close proximity. The students described the experience as insightful and hopeful. This past week the Diploma students met with Mr Rustad in Lifeskills and individually to talk about university applications. For the D1 students this was an introductory session while for the D2 students this was more targeted as they are reaching the important stages. In related news, our first university fair will occur on Monday the 10th at 2:30pm with over 20 universities from the UK available to meet with students and parents. This week both groups will have a visit from financial experts to discuss finance and banking as they prepare for life beyond ISM. The D2 students are getting into the full set of Internal Assessments and have their TOK presentations due on September 12th. As a reminder, our D2 students receive a full report card in October. Following conversations with a cross section of M1 and new students, we are pleased to note that they have settled in well at school. Parents/guardians should feel free to contact us in case of any further clarifications and/or questions. The M1-3, MAP tests are scheduled to begin on the week of Monday September 17, 2018. MAP Tests are computer-based tests for students where they are tested in Reading, (English) Language and Mathematics. In M3, students also take the test in Science in addition to the subjects above. MAP Growth tests are adaptive tests which means the test becomes more difficult when a student answers a question correctly. However, when the answer is incorrect, the test becomes easier. Ultimately, the students take a test specifically targeting their learning level. A thank you to parents that have completed the Parental Consent and Health forms. If you have not completed these please take the time to do so. They are available on the website if for some reason you did not receive them in the mail. The website has three different PC forms-for Primary, MYP (M1 to M4) and M5 to D2. Please complete the appropriate one and send to us by mail. Note that students will not be allowed out of campus if the PC forms are not filled. We also need these so that the boarding parents can complete the permission slips for boarders to travel with sports teams and on other school trips. As the first trips leave in the next few weeks it is very important that these slips get returned soon. We thank all the parents, community members and staff that have volunteered to work with our different sports programs. The P6 students sharing at the gathering was wonderful. We were reminded of how important the IB Learner Profile attributes and PYP Attitudes are as we work together within our community. Please note that swimming lessons will start this week for P1 to P5 students in one of the sports leasons. The EC students will start swimming in the second quarter. We learned that it can be hard to make new friends. We assigned each other someone new to play with during break time. Some of us found this challenging and it gave us a great insight into how it is important to have strategies to help us make new friends. We came up with a list of questions we could ask a ‘new’ friend in order to start up a conversation and we chose 5 to work on. We will keep on inquiring next week. There are different ways to make 6, 7 and 8. We have been investigating these ways, writing number sentences and number bonds. As they become more familiar with us, we will be able to recognise pairs of numbers and their totals very quickly. We will continue with our investigations to 10 next week. There are a few of us who have been working on recognising numbers to 10 and they will continue with this as well. some time this week to look for clear gelatin and clear cups in order to prepare yourselves for a homework experiment which will come home on Monday, and will have to begin on the same day! A quick message to parents that swimming will begin next week on Wednesdays from 10:35am – 11:30am. Students will need a swim suit, sunscreen, towel, goggles and a swimming cap. Monday: PE (hat, water, running shoes, house tshirt), homework sent home. Friday: Library (library bag) and homework comes back to school. The students are really into working with numbers mentally and they have made an amazing discovery when adding numbers to 9. I am sure they will be excited to share at home, do ask them. For our unit, we interviewed different members of our community and the P4s learned so much from their responses. They met members of the staff community who have been at ISM for over 20 years and heard from the very new ones. It was interesting to hear them share the different perspectives but one common one that came up was everyone that was interviewed loves being a part of the ISM community. In the coming week we will be learning about our home countries as a type of community and how we are part of an even bigger community- the global community. The way we share resources as citizens of the world and what our responsibility is towards caring for our planet. We are still asking for artefacts from different communities, to have for our unit display and welcome parents to share their personal experiences. In Math we will continue with number work and data handling as we collect information about the countries represented in P4. Next week we start swimming. Our lesson is on Thursday and students are expected to bring their swim suits if swimming and if not then they dress appropriately for P.E. Students that will not be swimming will go have P.E. activities on the pitch. Kindly send your child with a note if they need to be excused from swimming. The class is getting into the groove of a new schedule, and doing great. For our Unit of Inquiry students showed their understanding of the benefits and limitations of rules through two skits. Each group wrote a script, and performed for the class. They also took a picture tour of books, and created a list of questions from looking at the images in the books about Rights, Rules and Responsibilities. Some intense human rights issues came up, which you may find your child asking about at home. We will begin research next week to find answers to their chosen questions. We did a fun science experiment to show the importance of following rules in certain situations to promote safety. The class also got assigned pen pals from my previous school in California. 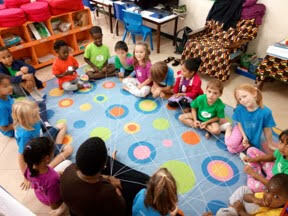 They had fun introducing themselves, and asking questions of new potential friends. We also started our reading buddy time with the EC class. Please remember to send your child to school daily with a water bottle and a hat. Thank you! Swimming begins next week for P5. discuss the advantages and disadvantages of researching on the internet as opposed to researching using books. We will also put dates in chronological order and make exploration timelines.